The European Union member states that have pledged their commitment to the Joint Comprehensive Plan of Action (JCPOA), known as the Iranian nuclear deal, should be able to sustain pressure and possible sanctions by the United States over their cooperation with Iran, experts told Sputnik. On Tuesday, US President Donald Trump announced that the United States will no longer remain part of the Iran nuclear deal, and promised to re-impose the highest level of economic sanctions against Tehran in response to the latter’s development of nuclear weapons. Following Trump's announcement, the leaders of France, Germany and the United Kingdom expressed in a joint statement their regret over Trump's decision and stressed their countries' commitment to the JCPOA. 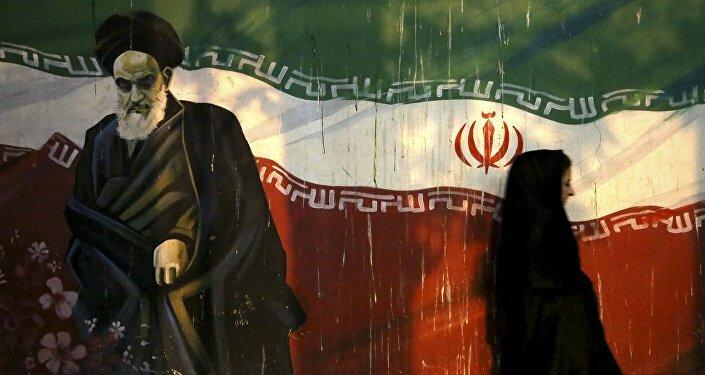 The issue of how Washington will respond to the implementation of the Iran nuclear deal by the EU member states remain open, meaning that Brussels should be ready to successfully sustain possible US pressure and restrictive measures, Karim Pakzad, the expert in Middle Eastern politics at French Institute for International and Strategic Affairs, told Sputnik. "The European Union declared almost unanimously that it would stay in the deal, they’ll try to fully implement it. But the problem now is not on the Iranian side, it’s on the European: whether the Europeans would have enough power and desire to resist to American sanctions, not only against Iran but also against the countries who would be dealing with it," Pakzad said. In particular, the banking and private sector of those countries that continue to cooperate with Iran, may face US sanctions. Thus, the implementation of the JCPOA might be undermined as it includes the relief of both EU and US sanctions, opening the market for cooperation with the Iranian business. Tehran has said that it may remain in the deal as long as Germany, the United Kingdom and France are sticking to its implementation. "The Iranians had expected this for some months … They said that Iran has set up all possible scenarios and that judging by how the situation develops it could take certain decisions. First decision is to stay in the agreement if the three European powers – the United Kingdom, France and Germany – ensure the abidance to this deal. This is difficult for the Europeans since the US decision implicates the return to sanctions. Donald Trump has even said that they would have additional sanctions, including penalties against companies and banks of the Western countries and others, like Russia or China, Japan, if these countries continue having relations with Iran. Iran is waiting now for the European Union to show that it equally has the power, that it can protect its society and its interests… Iran said that it will preserve the deal, but under certain conditions," Pakzad added. As the Iran nuclear deal was negotiated by a number of global powers and mediated by the United Nations and the International Atomic Energy Agency (IAEA), a unilateral withdrawal of such global actor as the United States may negatively affect the whole system of the international organizations. "This decision endangers not only the Iranian nuclear deal, but also international legality. It’s not an agreement between the United States and Iran, it’s an agreement between six world powers, and the European Union, validated by the UNSC [UN Security Council] declaration. By denouncing this deal, Donald Trump takes a position that goes against international regulations, and that would weaken international system, the UN Security Council and the United Nations. In this regard, the US actions are even illegal," Pakzad underlined. Moreover, Trump’s decision damages the reputation of the United States and its relations with the global community. "The whole US withdrawal from this deal is illegal. They should have posed a question within the UNSC, from where the agreement has come from, in order to check with the plans of different countries. If the United States had the elements to say that Iran did not respect its engagement, and ask it even at IAEA. But what’s interesting that the current US State Secretary Mike Pompeo has repeatedly told the Congress they had no proof at all to accuse Iran of disrespecting the deal … Now anybody could say one cannot trust Americans. This decision is harmful to the US reputation," Jean-Vincent Brisset, retired brigadier general of the French Air Force, senior research fellow at French Institute for International and Strategic Affairs, said. The restrictive measures that Washington plans to introduce against Tehran will primarily affect the life of Iranians, who have just started to rebound from the long recession that Iran had experienced during its international isolation, the experts said. "The new sanctions would have consequences on Iran’s economy and on the life of Iranians. 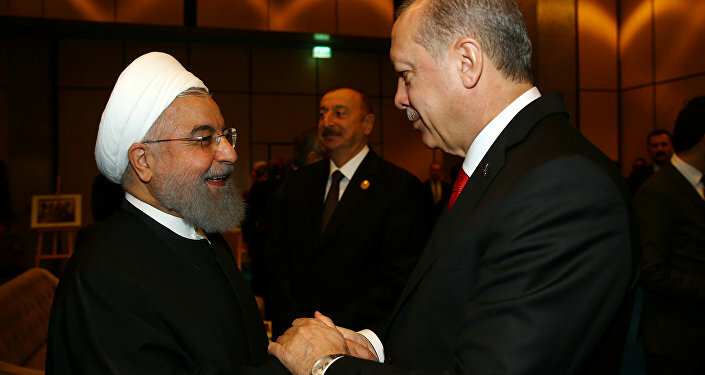 Even though President Rouhani assured the Iranians that the government took the measures so that they would not be affected, we know the consequences would be serious. As for the reaction of the Iranians there is deception, even rage, they call it a 'betrayal', since the Americans did not respect their own engagement in the first place," Brisset stressed. The French expert went on to note that the situation could ultimately spark a war in the turbulent Middle Eastern region.